Temperatures are plummeting in the UK, but England and Ireland’s women’s cricket squads have headed to warmer climes. The teams are about to start their practice matches for the Women’s World Twenty20 championship, which takes place in the West Indies next month. Here’s what’s in store for them during the next few weeks. England in the West Indies – What’s on their World T20 Championship Schedule? England’s first warm-up fixture is a day/night match against Australia, which will take place at midnight (GMT) on Sunday 4 November in Antigua. They’ll follow that up by taking on India in Guyana three days later and then embarking on their championship campaign. For the first stage of the competition, the teams are divided into two groups. England have been drawn in Group A, alongside the West Indies, Bangladesh, Sri Lanka and South Africa. They’ll play each of those teams once in an attempt to qualify for the knockout stages. England’s group matches all take place on the island of St. Lucia. They’ll play Sri Lanka on Saturday 10 November, Bangladesh on Monday 12 November and South Africa on Friday 16 November. Their final fixture of the round will be against the tournament hosts and current holders of the Women’s World T20 cricket trophy, the West Indies, on Sunday 18 November. The ICC Women’s World Twenty20 Championship – Who Will Ireland Take on First? The Irish national women’s cricket team consists of the best players from both Northern Ireland and the Republic of Ireland. Their final preparations for the World T20 championship will come in the form of practice matches against Bangladesh and Sri Lanka. The first of these will be held in Guyana on Sunday 4 November, while the second will take place in Antigua on Wednesday 7 November. Ireland have been drawn in Group B for the tournament, together with Australia, New Zealand, Pakistan and India, and will play their group matches in Guyana. Their opener against three-time championship winners Australia on Sunday 11 November will be followed by ties against Pakistan on Tuesday 13 November and India on Thursday 15 November. The team’s final fixture of the round will be a day/night match against New Zealand, which is scheduled to commence at midnight (GMT) on Saturday 17 November. The Home Nations’ Prospects – Could They Win The Trophy This Year? England are one of only three teams to have held the trophy, having won the inaugural tournament in 2009. They reached the 2012 and 2014 finals but were defeated by Australia on both occasions. The Aussies were also responsible for ending England’s title-winning dreams in 2016, beating them in the semi-finals. 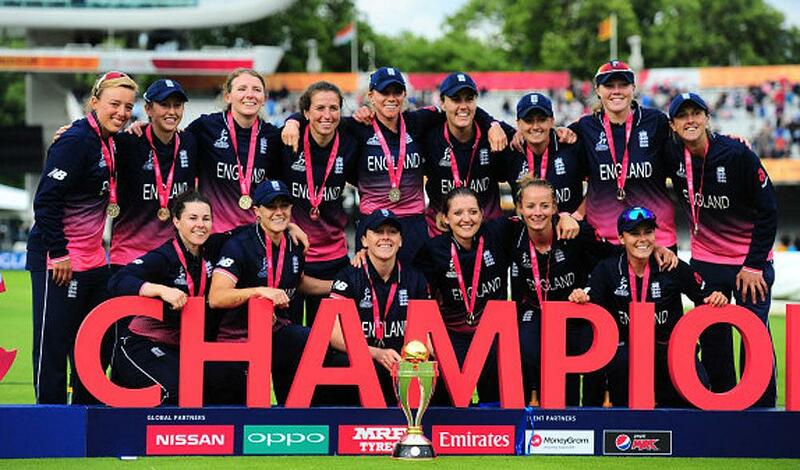 However, England fans can take heart from the fact that their team was third in the International Cricket Council’s (ICC) women’s T20I team rankings for October 2018, having triumphed in eleven of their last sixteen matches. Ireland, who were 10th in the same rankings, have only qualified for the tournament twice before (in 2014 and 2016). They didn’t manage to make it past the group stages on either occasion, but if they can progress to the semi-finals this year, anything could happen. However well the home nations do, we won’t have long to wait before we find out who the 2018 champions are. The final is set to take place at Antigua’s Sir Vivian Richards Stadium on Saturday 24 November. How far do you think England and Ireland will get in the Women’s World Twenty20 championship? Let us know on Twitter, Facebook or below.